This decor store packs quite a punch in just one neatly spaced room with an exciting mix of home furnishings, design items, accessories and more. Not your usual home décor store with just furniture and stacked wall hangings, this one has some really cool stuff such as comfy couches to lounge around in (which you can buy or get one customised). 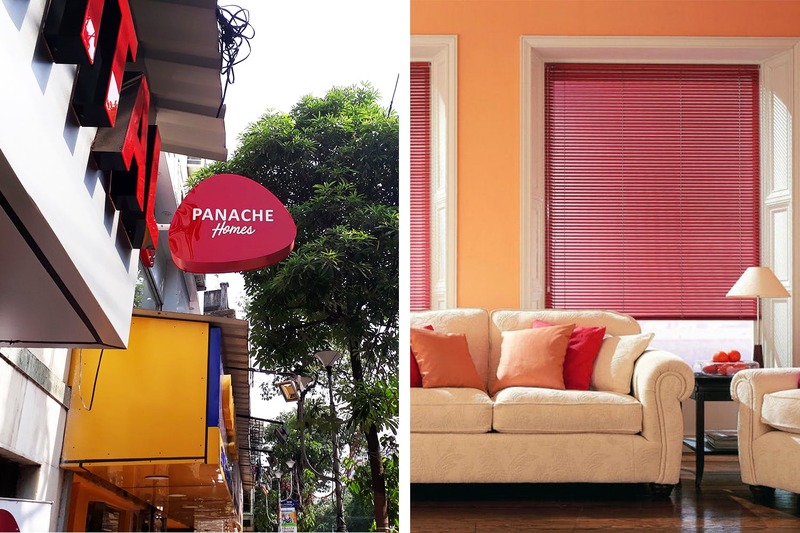 And window roller blinds in solid colours, and quirky prints (from INR 150 to 450). If you are looking for ideas to cover up barren ground spaces on your veranda or terrace, think of one of their faux grass carpets (starting INR 115 per sq foot) in different textures, sizes and even shades of green. You must check out the wall plants (INR 1,300) for big and broad walls. Go for a dense, leafy one or a plain short grass type. Wall plants are an-trend idea for décor – check out this photo for inspo. Looking for custome-made curtains or upholstery? They have their own range of fabrics to choose from. Panache also keeps bed sheets, bed covers and pillow covers.